1. Your new favorite art piece can now also be your fridge. Yes, you read that correctly. 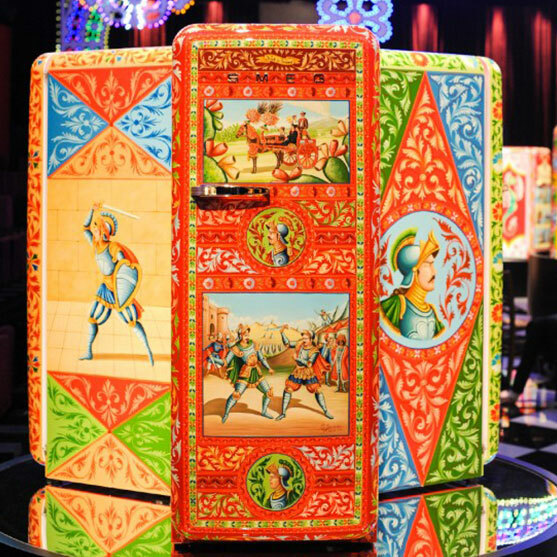 With the special collaboration of Smeg and Dolce & Gabanna, one-of-a-kind fridges have been transformed into works of art. Each Frigorifero d’Arte is hand decorated by Sicilian artisans. This is truly taking the meaning of a luxury appliance to a whole new level. 2. Coffee is not only built into our lives. Built-in coffee makers look good and save valuable counter space. 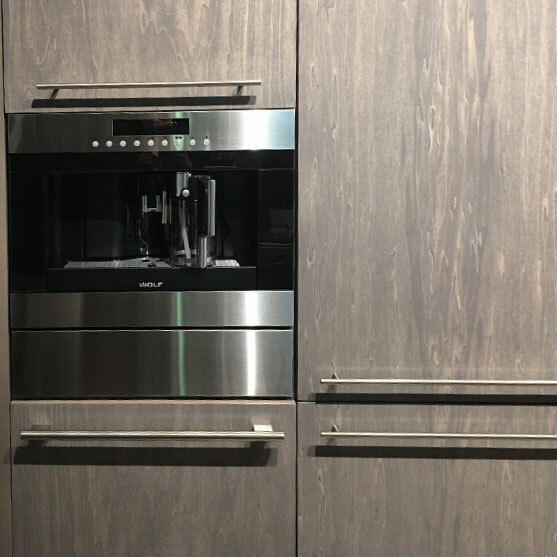 In addition, several appliance manufacturers including Bosch and GE, offer coffee makers built into their refrigerator doors. These offer easy access to the caffeine we all so desperately need to start the day, and the built-in water lines save water refill time. Now that’s what we call a smart appliance! 3. Your pooch can have nice things, too! 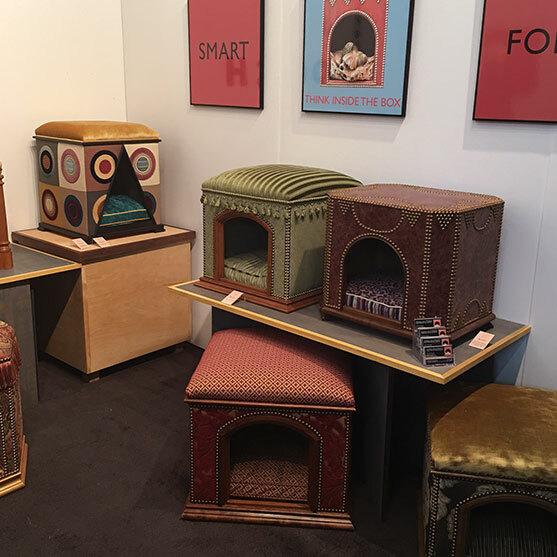 In a dog-friendly city like New York, it’s no surprise that dog furniture was displayed at the design show. We particularly loved the leather ottomans by Chateaux de la Pooch, which doubled as luxurious dog beds. If you’re going to pamper your pup, you might as well have their accessories match your interior décor. Plus, who doesn’t love a piece of furniture that can serve a dual purpose? Customization and modular design were in full swing at this year’s Architecture Digest Design Show. 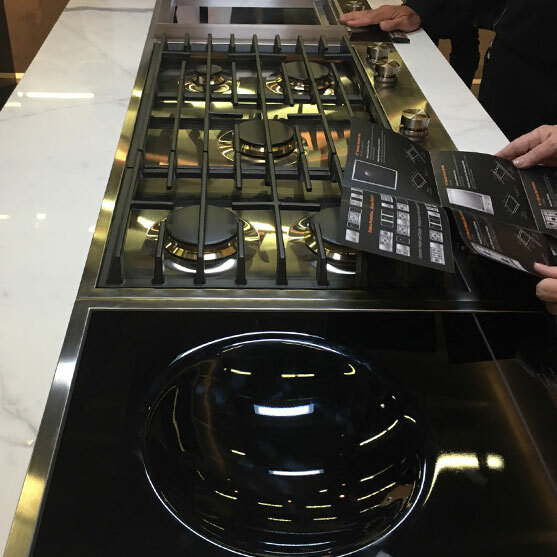 We were especially intrigued by Jenn-Air’s new modular cooktops. These creations can include everything from a built-in wok to a deep frying station. No matter what type of cook you are, you can have all the tools you use most installed into a new or pre-existing cooktop. Everything about this new offering is customizable, down to the size of each burner and the type of ventilation. 5. Online renovation matchmaker is now a thing. 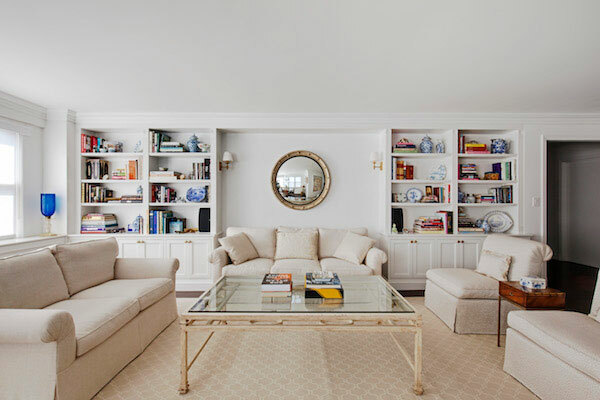 One of the newer trends we saw and loved was from Sweeten, the online renovation matchmaker. After inputting project details and budgets into their system, Sweeten matches homeowners to the best-ranked contractors in their area. Once you select who you want to work with, Sweeten is there to walk you through the entire renovation process. The sweetest part about Sweeten? The service is free! 6. Stainless steel is out, wood panels are in. Wood paneled appliances that fit seamlessly into matching kitchen cabinetry. 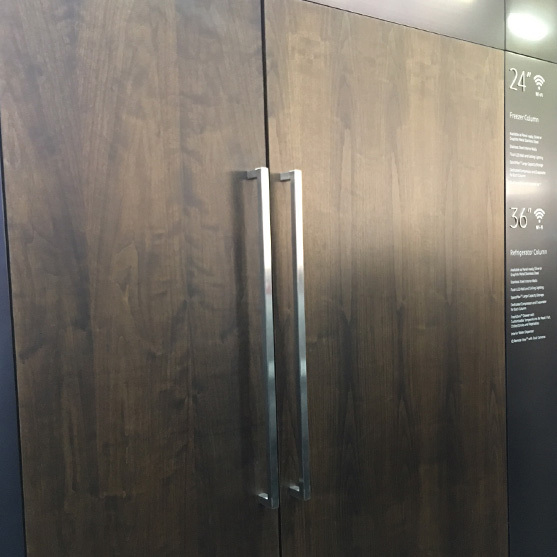 This new wood paneling came in various color options and followed the natural, understated style that many other designers seem to be trending towards. 7. Forgot what you need from the grocery store? Just ask your fridge. There’s an app for this too. Wi-Fi-enabled refrigerators take pictures of the refrigerator content every time it’s opened and closed to keep a count of its contents. This new feature can also send alerts if the fridge door is open or if the temperature inside has suddenly changed, and can even sync calendars with other members of the family regarding grocery shopping and food-prep events that may be on the horizon. 8. Design has literally come to life. 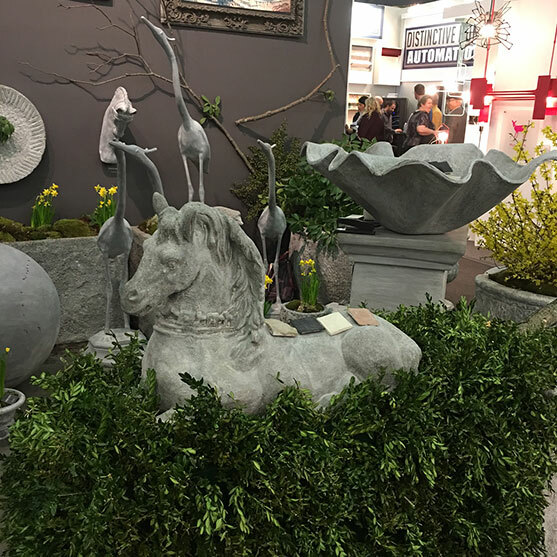 Whether it was a live, vertical garden cascading down an interior wall or furniture made from natural wood, relaxation, calm, and a return to nature was a noticeable trend throughout the industry. 9. Feeling those bohemian, beachy vibes. From rugs to fabrics to light installations, it was easy to feel laid back surrounded by 2017’s new bohemian trend. 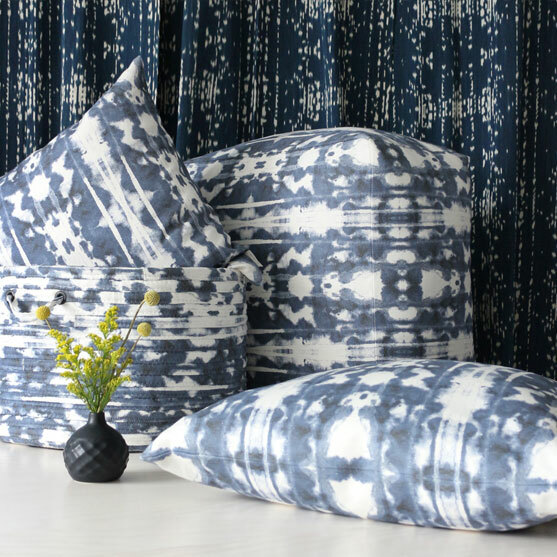 Many of the booths we saw in the artisan section of the design show featured designs and patterns that were inspired by nature and travel, like Echo’s new Ibiza-themed pillows in partnership with Kravet. Many of these products are also eco-friendly and produced locally. 10. Black is the new black. Remember all those spotless white kitchens you kept seeing in almost every home magazine last year? Well, forget it all, because this year black is back in a BIG way. A new movement has taken over, especially in the home appliance sector. Many of the refrigerators and ovens on display featured brushed stainless steel in graphite. Some of the refrigerators, like the new Dacor Modernist Collection refrigerator, even had black interiors, allowing the food inside to be the main attraction.